Annie has been implementing Conscious Discipline in her personal and professional life since 2008. For over 20 years she has worked in a variety of human service and educational settings including: public and private school settings, community preschools, community mental health centers and early childhood programs. Annette Chastain is a Licensed Clinical Social Worker from The Confederate Tribes of Warm Springs, Oregon and lives in Redmond, Oregon. Annette provides mental health consultation, training, and coaching for Head Starts, childcare centers, Social Service agencies, Native American tribes, communities, and schools K-12. She has over 25 years of experience in outpatient mental health, day treatment, classroom settings, mental health promotion and prevention, parent training, in-home skills training, and as a certified prevention specialist. Barbara Landon teaches bioethics at St. George’s University School of Medicine in Grenada. She has been teaching Conscious Discipline in Grenada and in the Caribbean since 2009 and has been a CDCI since 2013. She is co-recipient of a Canada Grand Challenges Saving Brains grant, which aims to teach Conscious Discipline in Grenada to help prevent corporal punishment. She has worked with UNICEF, the Organization of Eastern Caribbean States (OECS) and numerous NGOs to promote healthy neurodevelopment in the region. She also teaches mindfulness in the SGU community and several courses in SGU’s graduate program in community clinical psychology. Elizabeth Montero-Cefalo graduated from the University of Miami with a Masters in Early Childhood Special Education and is a talented trainer who has worked extensively with special needs children. In fact, her special education classroom was recognized as a Conscious Discipline model classroom by Dr. Becky Bailey and Miami-Dade County Public School District. Because Dr. Bailey recognized Elizabeth’s commitment to Conscious Discipline and her ability to share her expertise with others, she asked Elizabeth to become an LGA. Helen Guda is director of her own consultancy Develop to Grow, which is born out of a passion for the development of people and is based on a firm belief that human growth is the way to personal and collective success. Jennifer Smith has over 17 years of experience working in the early childhood field. Her experiences vary from research and intervention to direct classroom and home-based services for families and children birth-five. 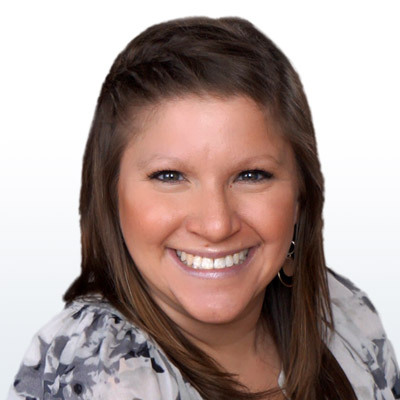 Jennifer holds a Bachelor of Arts degree in Psychology from the University of Iowa and a Master of Science degree in Child Development with a Specialization in Infant Studies from Erikson Institute. For the last 10 years, Jennifer has worked in the Early Head Start/Head Start community sharing her passion for Conscious Discipline. Jonathan Eastman has a Bachelor’s Degree of Science in Early Childhood Education and a Master’s of Science in Marriage and Family Therapy. He has taught Pre-K to 2nd grade and has worked for many years as a children’s entertainer, storyteller and games-master. Jonathan employs that playful dynamic of sharing Conscious Discipline® and cooperative play activities with school staff, parent groups and organizations that value social-emotional intelligence. What he loves most is to engage with children. He is a master trainer with the Palm Beach County Early Childhood Registry and a program consultant for the Fatherhood Task Force of South Florida. Kay Zastrow brings to each training decades of classroom experience with children of all ages, including those with special needs and challenging behaviors. As a teacher with a Master’s Degree in Early Childhood Special Education and Elementary/Middle School, Kay has practiced the skills of Conscious Discipline in her personal life and professional interactions within preschools, child cares, Head Start settings, public schools and homes. She weaves the principles of Conscious Discipline with her knowledge of sensory integration, behavioral interventions and brain development into each sought after presentation and coaching session. Within each training, she shares her documented learner success as she helps staff, parents and children integrate the skills of Conscious Discipline into their lives for a transformational experience.